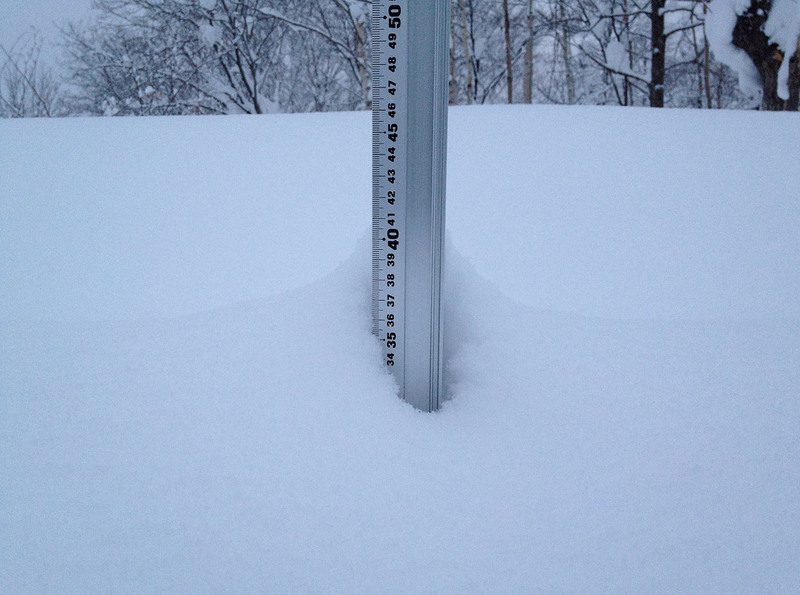 *1.7cm of fresh snow has fallen since yesterday morning and at 7:10am today the temperature was -16°C. After a few days of blue it looks likes the skies are returning to that Niseko grey we’ve all grown to love. Looks like we’re heading over to Niseko Village – colloquially known as Higashiyama. This resort is often overlooked but there’s some hidden gems to be found. It looks small on the trail maps, but there’s a bunch of groomed and off piste runs that you can spend days exploring. Enchantment is a great run for all skill levels. Once you get to the bottom your choice of trails increases, but both Banzai and Koguma are our choices today. Poor old Kutchan has had a hard winter so far, and it looks like the snow clearing budget is going to hit a new all time record.